On a sunny July, 2011, afternoon, my wife Harpal and I drove to a sleepy village near Stroud, Gloucestershire, England, to pick up youngest brother Dya Singh. With one hand on the keyboard of an electronic device showing complex sound-wave patterns, Craig made recording adjustments. In-between, he also managed to tune his surmandal (Indian string instrument) to Gujri-Todi raag base. It was agreed that surmandal should be used in certain melodies. Dya Singh sat on a sofa at one end of the studio, listening meditatively and making the occasional comment. I was witnessing the finishing touches to a Sikh world-music recording – Dya Singh version -by two world class artistes using the latest studio technology. Dya Singh’s quest for distinctly Sikh world-music, which appeals to the universal music ear, continues. Meeting Craig Pruess and working with him has given a further musical dimension to this work in progress. The opening quote from Gurinder Chadha is from the cover note of another CD recorded by Dya Singh, promoted by Gurinder, and produced by Craig in a series, Universal meditative chants from the Holy tradition of Nanak, or just Sacred Chants of the Sikhs. It also aptly describes Dya Singh’s journey and musical goal: to present Gurbani in world-music that “has the power to promote deep relaxation, meditation contemplation and devotion, regardless of religion and cultural back ground.” I have respect for Gurinder’s phenomenal success in film making, if not for her expertise in any field, especially in music! However, her interest in Dya Singh can only be beneficial in his musical quest. Craig has acquired international reputation as a producer and “arranger” of music for almost all of Gurinder Chadha’s films since 1993 and also works for the likes of Sir Cliff Richard. He is an accomplished multi-instrumentalist equally versatile and creative with Eastern and Western musical traditions. For the first time, Craig participated in Dya Singh group by playing the music synthesiser in the Sacred Sites component of the Manchester International Festival (MIF) from 6 to 10 July, 2011. It is with this background and Dya’s chance (or destined?) meeting with Craig, that I sense a next-step change in Dya’s quest for striking the right Sikh world-music chord. After about 14 years, once again I am prompted to write about Dya Singh’s controversial presentation of Gurbani keertan (Sikh religious singing) in the context of Indian and Sikh musical traditions. These traditions are discussed at some length in a separate article, so that any criticism or praise of Dya Singh (the group) is at least on an informed basis. I first wrote about Dya Singh in 1997, when Dr Jagir Singh of Chandigarh was visiting Australia for a wedding in the family. Following critical listening to Dya’s earliest CDs like Gurbani Yatra, Mystical Traveller, Australian Sikh Rhythm and Soul etc, the outcome was an article first published in Dr Jagir Singh’s Amrit Kirtan, and later reproduced by some other journals. In August 2001, Dr I J Singh wrote an article about the controversy surrounding Dya Singh with an apt title, “Give the man a break”. Whilst, he supported Dya Singh's pioneering initiative to take Sikh music to mixed audiences worldwide by re-tuning it to the Western ear, his support was qualified. Like him, I too “come from a bias that likes to hear every shabd sung in the raag specified for it in the Guru Granth." However, he lamented, " But that is so rarely heard even from the best-known traditional ragis.” Indeed, as mentioned in an article in “Amrat Kirtan” at the time, very few professional raagis have mastered more than about 4 raag ! Mostly they sing fixed tunes (bandash) in various raag without much originality, and pass these on to next generations. Of course, we have outstanding exceptions, and revered names like Bhai Samund Singh, Bhai Santa Singh, Bhai Avtar Singh, Bhai Dharam Singh Jakhmi and some contemporary classical raagis like Bhai Nirmal Singh, come to mind. The article in hand is prompted by what I see as a next step in Dya Singh’s quest for peculiarly Sikh world-music capable of striking the right universal chord, and which, in Gurinder Chadha’s words “has the power to promote deep relaxation, meditation contemplation and devotion, regardless of religion and cultural back ground.” Maybe, as a musical maverick, Dya Singh would even say, regardless of the raag (shudh or misrat ie. pure or mixed) in which it is sung! Increasingly, Dya Singh is on his own without much vocal support from his highly talented daughters. Also, he is mostly working with local musical talent wherever he goes. This change is exposing him to a greater variety of music - both Sikh and non-Sikh; Eastern and Western. Not surprisingly, and much against speculation, this change is for the better and brings him closer to his world-music goal. Although, his middle daughter, Harsel, accompanied him and is at her personal best in the forthcoming CD, "Dukh Bhanjan Tera Naam", the melodies are decidedly more appealing to the global ear. Craig's fine tuning during the final stage would enhance that universal appeal. Guru Nanak Sahib understood the great impact of Gurbani singing (keertan) on the human mind and the “transformational effect of the voice when raised in worship” (MIF web circular – see below). Thousands are spiritually touched by the young Sikh men and women of the Sukrit Trust singing Nitnemto the accompaniment of a variety of musical instruments on Sikh TV channels in the UK. When founders of this Trust nominated Dya Singh to represent Sikh faith music at the Manchester International Festival (MIF), one dryish comment was, “Well, did they have much of a choice?” It is true that few, if any, Sikh classical raagis have made it to world stages with the right music instrumental blends, and, in Gurinder Chadha’s words, “with resonant and captivating voice” like Dya Singh’s. One part of the recent Manchester International Festival (MIF) from 6th to 10th July, 2011, was called Sacred Sites. To quote from the MIF Website, “Developed by MIF Creative in close collaboration with faith communities across Manchester, Sacred Sites invites those of any faith or none to experience the sublime power of the human voice in a series of special performances.” This was a low profile milestone achievement – a first - in the interfaith area, which brought together diverse religious musical traditions under the wider multicultural umbrella of an international festival. While there are attempts to bring world religions around one table in today’s dangerous world, there is also an increase in religious fanaticism. Low publicity for the event may have been intentional! The Sikh “Sacred Site” was Gurdwara Sri Guru Harkrishan Sahib Ji where Dya Singh sang Gurbani Kirtan to the accompaniment of the traditional harmonium and tabla, and other string and electronic musical instruments played by world class maestros, also dedicated to the harmonisation of religious music. They, visibly, represented the musical version of the original “Parliament of World Religions,” which is Sri Guru Granth Sahib Ji. In addition to Craig on the music synthesiser, the more familiar faces were Dheeraj Shrestha (tabla) and Quentin Eyers (multi musical talent). Even the much acclaimed Anuradha Paudwal was attracted to this assembly of artistes at the Gurdwara Sahib in a special programme for children and young Sikhs. Is Dya Singh and those in that ilk, doing something radical and revolutionary ? Or, are they simply continuing with music evolution – not unlike evolution of languages - over the centuries? In order to understand the trends in Indian and Sikh musical tradition we need to look back at the evolution in Indian and Sikh traditional music over the centuries. This is a topic for a separate article. In Dya Singh’s view, Gurbani sangeet , as distinct from raag basedGurbani keertan by professional raagis, aims not so much to satisfy the technicalities, but more to provide a reasonably sound, practical and simplified approach to the learning and appreciation of Gurbani raag. Even classical music continues to evolve through exposure and through audience demand. Presentation of Gurbani sangeet by Dya Singh’s international music group is a part of this process. This effort does not compete with, but complements the great contribution to Sikh music by professional raagis. Yet, there have been instances when the latter show open resentment at Dya Singh’s popularity before mixed audiences. Above all, Dys Singh's music is overflowing with love. The power of the heavenly message of Gurbani sung to the accompaniment of a variety of musical instruments touches every human soul. 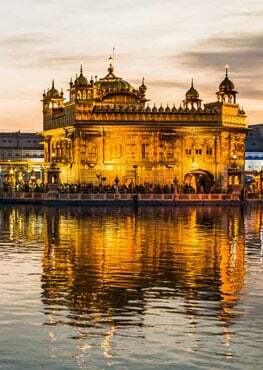 One view is that, following in the footsteps of Guru Nanak Sahib and Bhai Mardana, Sikhi should lead interfaith and world-music communication. Yet, it is noticeable to the discerning musical ear, that, over the years, his most severe critics have started imitating his style! That, perhaps, is the best compliment for his ongoing quest to capture the universal musical ear for disseminating the universal message of Gurbani. I do not appreciate some of his recordings and always revert to traditional raagis for prolonged periods, without listening to him. Recently when he was with me, I repeatedly played Bhai Balbir Singh’s 31 Raag to him in my personal mission to convert him back to traditional keertan! He listened to Raag Maru with some interest, only because I mentioned that it was almost lost to the Sikh musical tradition, which has also lost some popular folk dhunees due to neglect by raagi ghranas. Dya Singh’s Gurbani keertan, liberally flavoured with world-music and sung in his powerful yet melodious voice is appreciatd by mixed world audiences. If it can provide one with “a silent and still oasis in the frenetic and busy world of ours” (Gurinder Chadha), then that should be welcome.